I’m off to another jaunt through North Luzon thanks to the people behind the Northern Philippines Visitors Bureau (NPVB), their partners and member Conventions and Visitors Bureau (CVB). This year’s itinerary is a lot more lax than last year’s whirlwind race around North Luzon provinces. First in the list: Baguio. Built as a model village to showcase Ifugao architecture, the Tam-awan Village has grown beyond its modest inventory of three knocked-down huts to seven magnificent examples of Ifugao construction. Made with heavy hand-hewn timber, the Ifugao huts does not use any nails in its construction. Aside from the huts, the village also houses a gallery where art is regularly on exhibit. 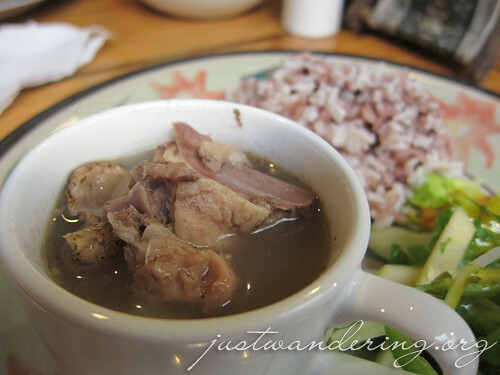 There is also a cafe for you to discover and enjoy traditional Ifugao fare. Opened in February 2010, the museum of Ben Cabrera features both permanent and moving exhibits of Bencab and other artists. 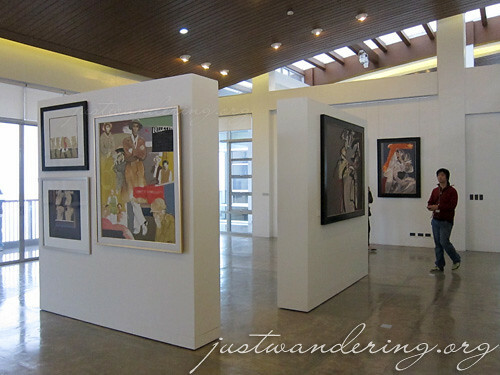 Some of the national artist’s master pieces are on display, along with works by other artists included in his personal collection. 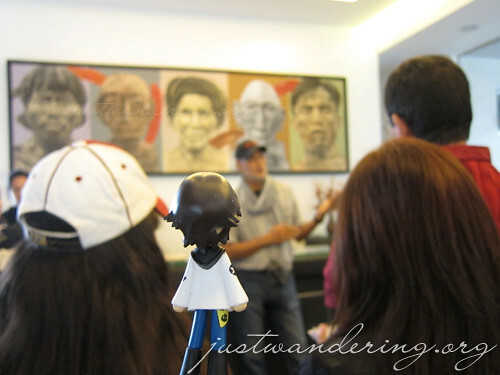 Bencab’s extensive collection of the Ifugao bulol can be found throughout the museum. Equally amazing as Bencab’s art collection is the scene outside the museum. The beautifully landscaped garden entices visitors to step out into the sun and revel in nature’s wonder. 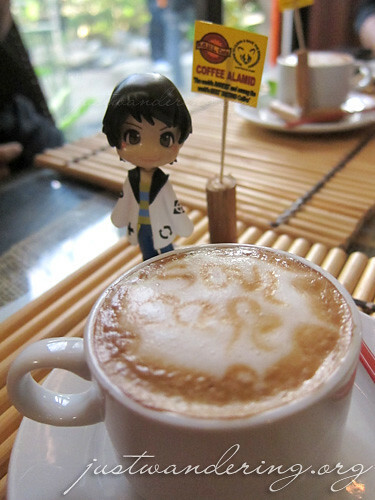 Located in Rosario, La Union, this quaint cafe is a lovely way to start a morning. 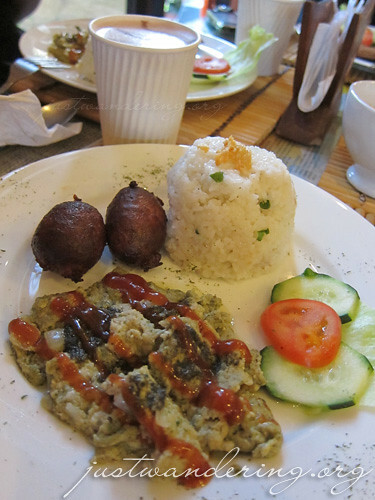 A hearty and savory breakfast of garlic longganisa and daing na bangus had us murmuring appreciatively, specially when paired with gourmet tortang talong made with pesto and olive oil and hot chocolate. The cafe also serves one of the rarest and best coffee in the world: coffee alamid (also known as kopi luwak or crudely, civet cat poop coffee). We were treated to a shot of Alamid espresso with caramel, which had a strong full-bodied flavor. I’m no coffee connoisseur, but that certainly did not taste like poop (not that I have eaten poop, mind you). 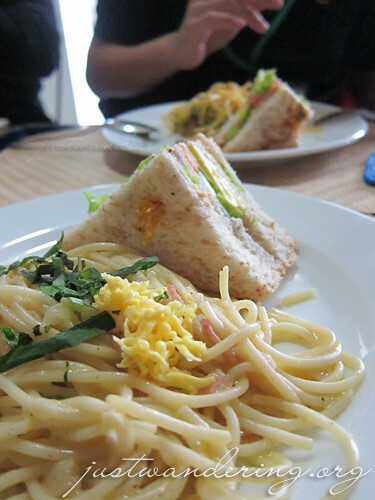 Lunch was served at the Coffee Shop and it featured local Bagio produce and traditional Ifugao fare. There was a salad made with lettuce, carrots, onions, apples and ampalaya paired with a zingy dressing, red rice and pinikpikan, which despite the violent procedure for cooking, tasted absolutely fantastic. The in-house cafe at the Bencab museum is a perfect way to cap an afternoon of appreciating art. With sweeping view of the garden and mountain outside, you’ll be sure to enjoy the sandwiches and pastas on offer. Dinner was at Flora Cafe at the veranda of the Hotel Elizabeth. 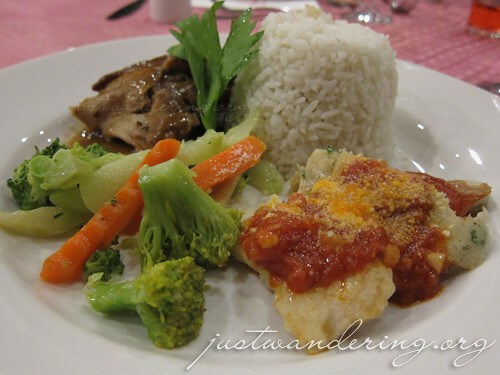 Creamy vegetable soup to warm us up, followed by a lovely plate of flavorful roast chicken, delicate fish fillet and steamed veggies. It was capped with a yummy dessert of pastries and fruit. 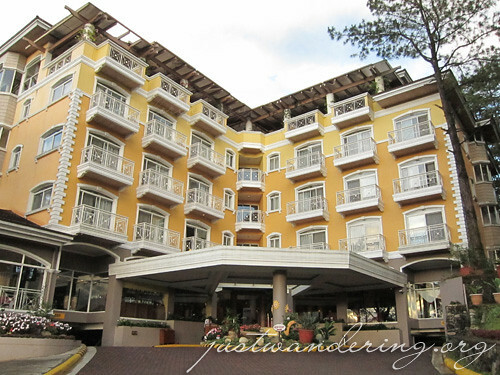 A Mediterranean-inspired boutique hotel, the hotel sits on a hill crest that overlooks Baguio City. Located near the Mines View Park, The Mansion and Wright Park, the hotel has a very peaceful athmosphere — perfect for relaxing after a long day on the road. can you buy coffee alamid anywhere in manila?there are so many wonderful regional coffees in the phils. yan nag gusto kong mapuntahan..bencab museum. daming good reviews. Uy kakagaling ko lang Baguio last week! We stayed at this Hotel Elizabeth during my brother’s wedding. The reception was also held there. The food and service was really good.